What is Emotional Freedom Technique or “Tapping”? Emotional Freedom Technique is the new therapy for the 21st century as it is a very safe way to get rid of anxiety, stress, and feelings of guilt and overwhelm that lots of parents suffer from. It is based on tapping different Chinese meridian lines with your fingers – and you’ve probably heard lots of people talking about tapping their problems away. You may have seen Paul McKenna on British television demonstrating how tapping various points on your body can alleviate stress, anger and phobias. He has also shown how it can treat weight loss, smoking and other addictions and I first became impressed with it through regularly assisting Paul on his Easy Weight Loss Seminars. Tens of thousands of people worldwide have already used EFT to conquer their anger, increase their energy or let go of negative feelings. It has also been used to great effect in treating trauma victims in Kosovo, Iraq and Uganda and after natural disasters like Hurricane Katrina. As a EFT Parenting Specialist, trained in the Callahan Techniques, I use it with parents and children as another tool in my coaching toolkit as it is a completely safe way of eliminating stressful or anxious feelings with no side effects. it is extremely quick, with most treatments needing no more than 5 minutes! 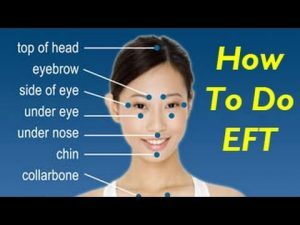 I created my tapping EFT ebook after training with Roger Callahan and his wife Joanne as I feel EFT can help you on a very practical and simple level – you have another tool to dip in and out of in your parenting toolkit when you, or your child, needs it! If you would like to work with me using this cutting edge, powerful & empowering tool call 01342 833355 so we can arrange your session. The post What is Emotional Freedom Technique or “Tapping”? appeared first on Sue Atkins The Parenting Coach.